The Sneaky Music DS is a powerful award-winning digital source streamer and amplifier which can be easily integrated into your existing system to play all popular digital music formats. Earn 1015 loyalty points when you order this item. 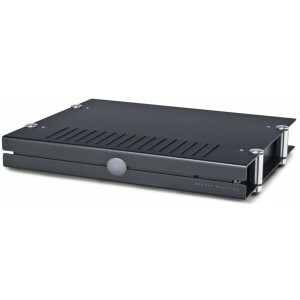 The Linn Sneaky DS Network is a powerful digital streamer which can be easily integrated into your existing system. It operates under Linn's pioneering prerogative of 'source-first', delivering excellent quality sound to your loudspeakers. A great source of sound for any home, it combines the convenience of a network music player with Linn's experience and commitment to world-class music reproduction. The Sneaky Music DS can play all popular digital music formats. It has a custom designed up-sampling engine which effectively reduces all noise and distortion, resulting in the best possible reproduction of music files. It plays digital music over a standard Ethernet network which means you can enjoy high quality podcasts and internet radio streams as well as the latest music-streaming services. The interface can be accessed, and customised, by your home computer, laptop, tablet or smartphone and playlists can be controlled from anywhere in the home. It shares the same tried and tested software with all Linn Players, with regular updates which ensures the continual improvement of sound quality. The Sneaky DS is an excellent way of bringing high-quality digital streaming into the home. Just attach your pre and power amp and loudspeakers and you're ready to conveniently enjoy a whole world of music. So... why the Sneaky Music DS Network Streamer?